Volkswagen Group's plan to cheat emissions tests by installing so-called defeat devices in its vehicles wasn't limited to diesel cars, but also included at least six models of Audi 3.0-liter gasoline engines, according to a U.S. consumer lawsuit. In a class action on behalf of owners of more than 100,000 vehicles, the automaker's Audi unit was accused of installing software designed to beat emissions tests in its A6, A8, Q5 and Q7 cars since February 2013 and possibly earlier. Audi executives encouraged use of the devices in gasoline-powered vehicles as recently as May, eight months after the diesel cheating was publicly disclosed, according to the complaint filed Tuesday in Chicago federal court. VW spokeswoman Jeannine Ginivan and Audi spokesman Mark Clothier declined to comment on the complaint. The lawsuit comes two weeks after U.S. District Judge Charles Breyer gave his final approval to VW's $14.7 billion settlement covering 480,000 diesel cars with 2.0-liter engines, widely seen as a benchmark achievement for the carmaker. VW still doesn't have an approved way to fix any of the 560,000 cars still polluting U.S. roads. The automaker faces a potential trial with owners of 3.0-liter diesel cars in the U.S., in addition to shareholder claims, environmental lawsuits by multiple states and criminal investigations by the U.S. Justice Department and European authorities. "Throughout the yearlong dieselgate scandal, Audi chose to continue to deceive consumers across the country with yet another emissions-cheating device installed in even more of its vehicles," attorney Steve Berman of Hagens Berman Sobol Shapiro LLP, the law firm representing consumers in Wednesday's complaint, said in a statement. "This kind of flagrant disregard for federal environmental regulations and consumers’ expectations is unacceptable, and we intend to hold Audi to the law on behalf of those who overpaid for Audi's noncompliant, polluting cars." While the algorithm-based defeat device in diesel cars would veil the vehicle's real emissions, the gasoline cars are capable of detecting that the vehicle is in a testing bay and then shifts into "low rev" mode, according to the complaint. "This modified shifting scheme effectively falsifies the vehicle's emissions and fuel-efficiency results by keeping the engine RPM artificially low, thereby using less fuel and emitting less carbon dioxide," Audi owners alleged in the complaint. 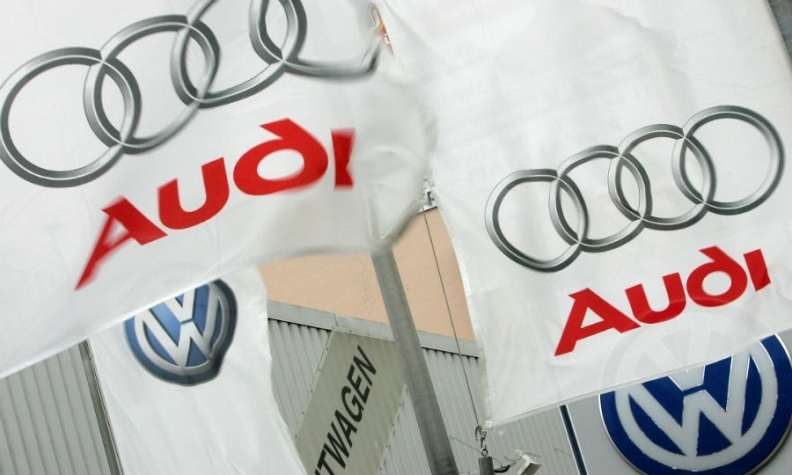 The consumers seek unspecified damages including restitution from Audi's sales and profit.